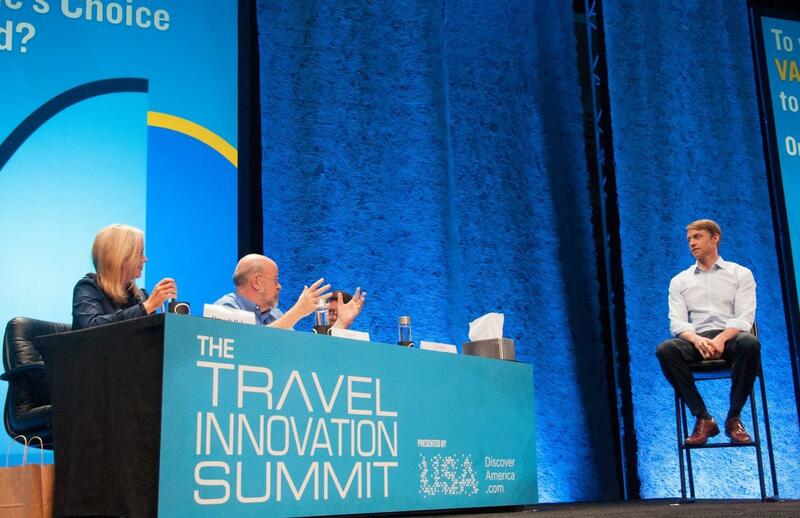 SIGN UP FOR THE VACATION RENTAL WORLD SUMMIT UPDATES HERE! I had the pleasure to cross paths with Andrew McConnell last year, as he gave a pretty insightful presentation on Industry Trends in preparation for the first edition of VRWS [Vacation Rental World Summit – you may view it again here, in case you missed it]. As winner of Phocuswright’s Travel Innovation Summit, we have the pleasure to have Andrew share three new trends that may well help you navigate safely through troubled waters in the near future. Are Your Ready For Innovation? Q: Can you give us an anticipation of what your session for VRWS2015 will be, Andrew? A: Last year we really focused on the growth of the industry, and that continues to pay. From $40 Billion back in 1999 to projected more than $285 Billion by 2025. This time around we’re going to look at something different and potentially more impactful for participants in the Summit, namely the technology trends driving the VR industry forward. To date there have been two big areas of technology and innovation that received the most attention: Property Management Softwares or PMS systems, such as Escapia or LiveRez, and even more notably Distribution. Distribution sites like HomeAway, Airbnb, Flipkey, Vrbo have garnered all the real attention. Looking forward, there are three other areas we think will drive innovation and the industry even more quickly and in a more exciting way. There are new acquisition models and platforms arising. We’ll see which they are and what benefits they bring to users. While the individual distribution sites have been the important innovators to date, with the plethora of them out there, getting your property in front of the right people at the right times, on the right channel is ever more important. And these are the players of the future that are going to help you do that. We’re going to look into all of that at the Summit and dive into what are the options, what’s right for you in terms of growing your business. Q: Because of the changing nature of the topic you’re going to share with us in November, we can’t really give more information now, can we? A: Instead of giving an update of what’s going on, we really want to be tactical and have ‘action items’ and recommendations coming out of the session, so the more current we can make this session, the more impactful and better it will be for viewers. Q: So I guess we’ll have to wait until November, which is just a few weeks away, but the wait will be pretty much worth it, right? That said, mark your calendar for the event and make sure you sign up here to be notified about our weekly updates leading to the Summit, because we’re going to open early bird registration in a few days and we’ll offer an insane deal to the first 500 attendees that will grab their ticket to watch and participate in the Summit online. If you’ve already signed up to get our weekly updates, you DON’T have to repeat the process! You’re already in the loop, so you’re good to go. Just make sure you whitelist our messages and receive them weekly. In fact, if you go to the Summit’s site you’ll see how we’re constantly updating the site to reflect our latest changes and current updates. So mark your calendar for November 6-8, 2015 from 9:00am to 4:00pm Eastern (NY Time) and if you can’t make it don’t worry, because your ticket gives you unlimited access to all recordings, each speaker, the community and all the other goodies we will unleash in the next few days. If you haven’t done it yet, click on the buttons below, add the Summit dates to your calendar via iCal, Outlook or Google Calendar now, and leave me a comment. That way, you won’t forget it.